The most popular Ford truck model just got even better. The best-selling vehicle for 35 years straight, is getting better with every passing year and the 2018 Ford F-150 Diesel is no exception. Arriving to each of our Ford dealers in Southern California this spring, the Ford F-150 diesel, with a 3.0-liter Power Stroke V6 engine, provides best-in-class diesel 250 HP and 440 lb.-ft. of torque. This powerful engine also provides a targeted EPA-estimated 30 MPG HWY rating* as well as a best-in-class 11,400 lbs. of towing capacity. Along with power, the highly anticipated F-150 Power Stroke diesel shares proven commercial-grade technology with the F-Series Super Duty larger 6.7-liter Power Stroke engine. The very same Ford powertrain team behind the 6.7-liter Power Stroke for Super Duty trucks since 2011 designed and engineered this all-new 3.0-liter Power Stroke V6 diesel engine to the specific needs of North American F-150 customers who tow and haul frequently. 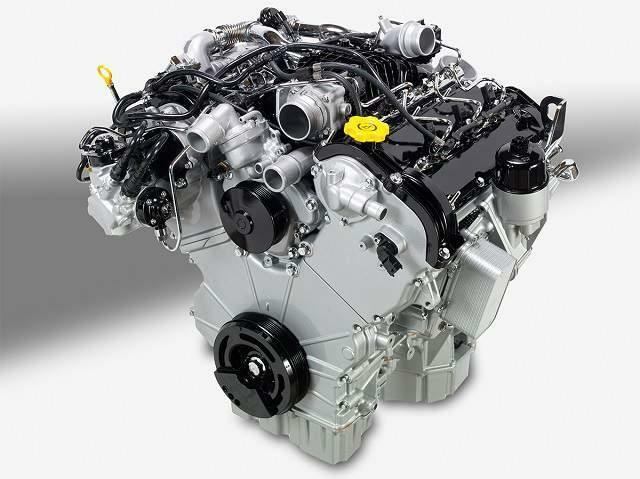 This new V6 diesel engine also features the same compacted-graphite iron block material construction and forged-steel crank used in the Ford F-150’s available 2.7-liter EcoBoost engine for added strength and durability along with reduced weight. For greater responsiveness and reduced turbo lag, the Ford truck team also chose a high-efficiency variable-geometry turbocharger with a common-rail fuel injection system that precisely optimizes performance and fuel efficiency. Dual fuel filters are also added for improved break-in, while a cast-aluminum oil pan and two-stage oil pump reduces parasitic loss. 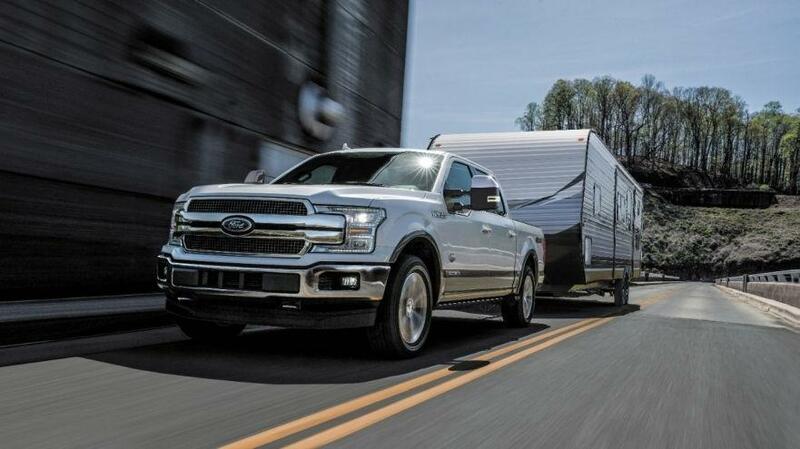 The most efficient F-150 towing machine ever is also enabled by the Ford F-150’s high-strength, military-grade, aluminum-alloy body that has lightened the load by 700 pounds and allowed engineers to invest in added technologies to improve towing and payload capability. Stronger axles, coupled with a fully-boxed, high-strength steel frame also add further toughness. The Ford truck team also pointed much of its attention to extreme driving conditions when they engineered the all-new 3.0-liter Power Stroke diesel. This engine features a premium engine-driven fan and dual radiator shutters for improved high temperature and high-altitude performance, which is a key advantage versus electric cooling fans used by Ford Trucks competitors. “This gives F-150 Power Stroke owners more power and more passing capability in harsh conditions,” said David Ives, Ford diesel engine technical specialist. Calibrated specifically for the all-new 3.0-liter Power Stroke diesel’s low-end power and torque curves, a standard SelectShift 10-speed automatic transmission maximizes shift points and gear ratios to optimize power, low-RPM torque and efficiency. This segment-exclusive transmission can non-sequentially select the right gear ratio based on need – for best-in-class performance. To help reduce fuel consumption and vehicle emissions during city driving, Auto Start-Stop also comes standard. Deliveries for the hardest working of F-150 pickup trucks have begun at your Southern California Ford dealers. So, don’t miss out on your chance to own the strongest and most legendary of Ford trucks available. For fleet customers who use their truck for work, the 3.0-liter Power Stroke diesel engine will be available on all F-150 trim levels with SuperCrew 5.5-foot or 6.5-foot bed configurations and SuperCab trucks with a 6.5-foot bed.